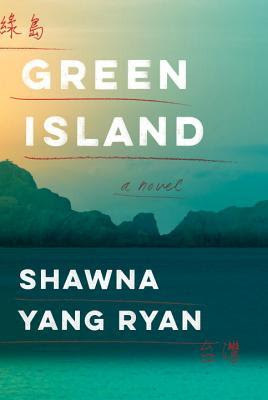 Shawna Yang Ryan, an award winning American author, pens her new book, Green Island: A novel , that unfolds the story of a Taiwanese family living in Taipei when the Martial Law was incorporated and changed the future of this family. Told from the perspective from the unnamed narrator who happens to be the youngest daughter in this family, she traverses two decades under this law as well as facing the aftermath of this law by playing so many roles in her life. This is not only her story, it is the story of the people who faced the darkness of this Martial Law. The nameless narrator was born in the Tsai family on the night of February 28 Massacre, an anti-government uprising in Taiwan. Taking its name from the date of the incident, it began on February 27, 1947, and was violently suppressed by the KMT-led Republic of China government, which killed thousands of civilians beginning on February 28. Estimates of the number of deaths vary from 10,000 to 30,000 or more. The massacre marked the beginning of the Kuomintang's White Terror period in Taiwan, in which thousands more inhabitants vanished, died, or were imprisoned. This incident is one of the most important events in Taiwan's modern history, and is a critical impetus for the Taiwanese independence movement. In 1945, 50 years of Japanese rule of Taiwan ended when Japan lost World War II. In October, the United States, on behalf of the Allied Forces, handed temporary administrative control of Taiwan to the Kuomintang-administered Republic of China (ROC) under General Order No. 1 to handle the surrender of Japanese troops and ruling administration. Local inhabitants became resentful of what they saw as high-handed and frequently corrupt conduct on the part of the KMT authorities, their arbitrary seizure of private property, and their economic mismanagement. The flashpoint came on February 27 in Taipei, when a dispute between a cigarette vendor and an officer of the Office of Monopoly triggered civil disorder and an open rebellion that lasted for days. The uprising was violently put down by the military of the Republic of China and the island was placed under martial law. The narrator then recounts her story when few days after the uprising, the governor general asked the civilians in Taipei to come out and speak for the injustice, which finally led to the narrator's Baba's arrest as he was apart of that event. The narrator then grew up without knowing her father, but a decade later, her father gets back to their home. He is changed man and was often subjected to being shunned in the public. But later her father makes a terrible decision in order to save his family that finally comes back to haunt the narrator, another decade later, when she is thrown on the path on whether to save her father in Taiwan or to save her new found trustworthy friend in California. The author's writing style is lyrical and syncs with the deep emotions laid out in to the story line. The narrative is equally evocative and what makes the story even more interesting is that the main character has no name, most probably, she wasn't named after her birth, as soon after her birth, her father got arrested and they had to evacuate their family home in Taipei. The mystery as well as the history is laced beautifully since with the progress of the story, it becomes obvious that something terrible might happen with the narrator a owing to her father's decision's consequences. And that kept me completely glued into the story line despite the fact that the story is too long and the author has incorporated the story with too many intricate details. This family saga runs parallely with the effects of the Martial Law in post-WWII Taiwan. The background of Taipei is vividly painted into the story line thus giving it depth which will make the readers see the location with their own eyes. I loved how the author drew Taipei's changing as well as fading landscapes with the history. The time period is also quite well arrested by the author, from the food habits to the language to the life style of the civilians to the culture to the hot sultry weather, everything is captured strikingly and also its changes with respect to the time and politics. The story ponders not only on this youngest daughter's life, but also projects the stories of other family members, their complications and everything. The book, in short, i s not an easy on e to read because at times I felt quite confused with the story line. The characters are well-developed and their rich orientalism in their demeanor is well captured. The character of the narrator's father goes through a lot of changes and evolves from being an understanding man to a casual one. The mother's character is also nice, but we don't get to see much of her action, except her sacrifices and her loyalty towards her husband even though he is wrong at times. The elder sister is the thoughtful one, who took care for her parents. The main character is the mirror through whom we can see the changes in the political strata as well as in the household and also in her life. I loved the characters that made the story look richer and meaningful . Overall, this is a captivating historical fiction where history of Taiwan plays a huge role in this family saga, where various relationships and bonds are explored, their weight of strain over the edges, complicacies, reunion, holding onto one another, sacrifices for the homeland as well as for the family. Verdict: For historical fiction fans, this evocative novel is a must read! Courtesy: Thanks to the author, Shawna Yang Ryan's publicist, for giving me an opportunity to read and review her novel.